Beerud Sheth, Founder of Elance: Building Another "Company For the Ages"
Beerud Sheth is an amazing guy. He built what is arguably the most disruptive work platform with the most empowering effect on the economy and economic development on the planet, Elance. Millions of people with every skill imaginable, have earned income, supported their families and perhaps built their own small business through tasks, projects and work promoted on and found through Elance. And ... that's only on the individual, Consumer side. On the Enterprise side, Elance has provided a 'new economy' of workers for business small and gigantic. Everybody from GE, GM and 3M to Safeway, Fairway and Whole Foods has outsourced in some small way their tasks not core to their business or within their walls to an Elance specialist. In that process, these companies petite and monolithic have saved billions; focused crucial resources elsewhere; and sometimes, hired new employees through Elance testing and direct worker experience. So Beerud Sheth started something really monumental with Elance. The real untold story behind Beerud Sheth is not so much Elance--though that's a startlingly good one--but the one I want to tell involving both how he came to America pre-Elance and what he's doing now, post-Elance. "I came to the US alone when I was 20," Sheth told me. When I hear this, I cannot imagine the bravery it would take. Sheth had gotten his bachelor's degree in Computer Science at the Indian Institutes of Technology ("IIT"-a sixteen institute technology educational network stretching all across India), and then come to MIT to get his masters degree in the same discipline, computers. "The IIT is a real on-ramp to the top American universities, a 'feeder school' if you will," Sheth observed proudly. After nailing his MIT masters degree, Sheth went to Wall Street. He worked as an AVP at Citibank Securities for a year and at Merrill Lynch for three years. "First I was coding and started programming for derivatives and valuing different securities and CMOs," he told me, "then I moved on to problem-solving. Finally, I moved into bond trading, which I loved." Because Sheth had understood the different software programs and algorithms better than the traders did, he was invaluable as a trader. "Elance came about as a result of all my work on Wall Street," Sheth said, "and the evolution of Netscape and eBay contributed too. We founded Elance in a two-bedroom apartment in Jersey City in 1998, with one employee who lived there and 19 more who came in to work there during the daytime." It must've been a riot. In 1999, Sheth says, IIT alumni made a one million dollar seed investment in Elance and it was off to the races. Without further adieu, Kleiner, Perkins, Caulfield and Byers (KPCB), the granddaddy of Sand Hill Road venture capital firms, made a $12 million Series A investment in Elance. "John and Vinod (VC legends Doerr and Khosla) wanted a deal," Sheth recalled, a sly smile coming over his face. "So they left us in a room to stew for a while. When they came back quite a bit later, they said, 'would you like some references on KPCB?' Would WE like some references on THEM? They insisted that we call up some of their very big-name references, with us protesting that we felt goofy doing that." Doerr joined the Elance Board of Directors. "After the KPCB round," Sheth continued, "we got a second round of $50 million from Pequot Capital Management (now FirstMark Capital) and Citigroup, right before the dot-com crash. This gave us some great runway and then ex-Oracle then KPCB partner, Ray Lane joined our board too." Described by Sheth as "an Enterprise product offering services for procurement and management," Elance grew and grew, becoming the 'Craigslist' (except not as dodgy) for outsourced employees, software development and virtually everything a small (or big) business might need. "We sold this product to Fed-X, GE, BP and other big corporate customers," Sheth said excitedly. "But we discovered that Elance was really for SMEs wanting to get things done, like websites especially." At the time, Oracle was consolidating and buying PeopleSoft, Sheth concluded, so the Enterprise division of Elance was sold to Click Commerce. The remaining SME core of Elance finally merged with oDesk in March of 2014 with Sheth retaining some equity in the merged firm. Sheth adds a compelling anecdote: "When I was in the Philippines recently, the Minister of Science & Technology for the country came up to me and told me, 'I just wanted to thank you and Elance because you bring in over $250 million in foreign exchange annually.' It's very hard giving a livelihood to a far-flung nation that's very divided with little industry," Sheth told me, pride apparent in his voice. That small anecdote crystallized the impact Elance had on people around the globe. As Harvard Business Review (HBR) may have told it best in their September, 1998 article entitled, "The Dawn of the E-Lance Economy," "By changing the way work is done, electronic networks may lead to a new kind of economy centered on the individual." They "may" have created a whole new economy, and they certainly did because Elance chose its name from this article, not the other way around. 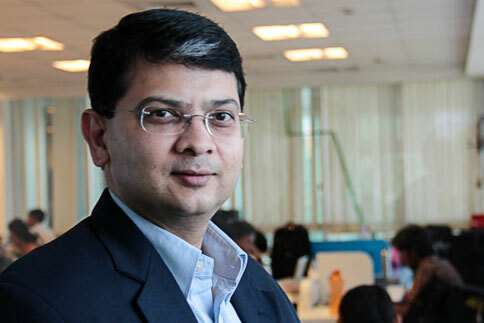 After the Elance merger with Odesk, Sheth observed firmly, "Now it's clearly the leader in the sector. Elance has empowered millions of people to become their own little businesses." Sheth also told me that there are approximately $1 billion in services transacted on the Elance platform. To me, there could still be a very big exit coming for Elance. It's important to tell the story of Elance in order to tell the story of his new company, Teamchat. As Sheth summarized, "Things that are the core competence, and involve a lot of context, have to be done inside the company. If it doesn't involve either of these things, Elance gets it." Elance had far-reaching, good economic implications for disparate geographies with low business or no business around to provide employment. So what to do after disrupting how people find work and taking it online? Sheth must've wondered. Why not just change how SMS texting is used? Not amongst Sally and Don or Peggy and Roger; but inside large organizations who have occasionally looked into Enterprise texting for their organization-wide communications needs but found them, full of clutter, 'reply all' redundancy and too onerous for any company to manage. Teamchat was Sheth's answer to solve this impossible dream by enterprise. Sheth founded Teamchat through his tech holding company, Webaroo, which he started in 2006 right after he left Elance. "We focused on mobile messaging as there were billions of people coming online--the only way to do that was with SMS text messaging. So we built this huge SMS platform (Gupshup) that became very popular in India with over 60 million users. And along came smartphones ... "
"Mobile messaging is the new OS," Sheth told me he heard in Barcelona recently at the Mobile World Congress. "But I don't remember who said it." We both agreed it was true. Teamchat's parent company, Webaroo has raised $50 million in venture capital from Charles River Ventures, Helion Venture Partners and Tenaya Capital. "The company name is Webaroo and the product is Teamchat," Sheth is quick to point out. Based in Fremont, CA with software development located in Mumbai, India, Sheth is employing more than 120 people full-time. "We use lots of Elancers too," Sheth offered up, "it would be criminal if we didn't use Elance." Teamchat was established officially in March of 2014 but Sheth said emphatically that they had been in beta testing for months beforehand. The full-on Teamchat service launched in February of this year. "We've seen the rise of smartphones and mobile messaging apps that include WhatsApp (now Facebook); WeChat, that has more than 400 million users in China; Line in Japan; Viber in Israel; and Kakao in Korea. But those are for Consumers only. We saw there was a tremendous opportunity." Sheth is artful in the process of finding big opportunities. 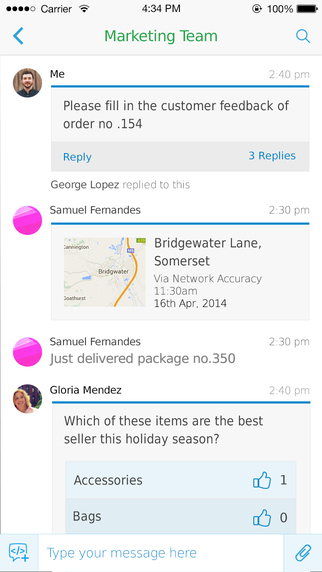 "There are several problems with trying to use consumer text apps with enterprise. First is group size, it's limited, usually to 100 people. The other problem is that there are too many messages, too much clutter; even if you have only 100 people and you put out one text message, people reply then hit 'reply all' and it quickly becomes totally unmanageable. 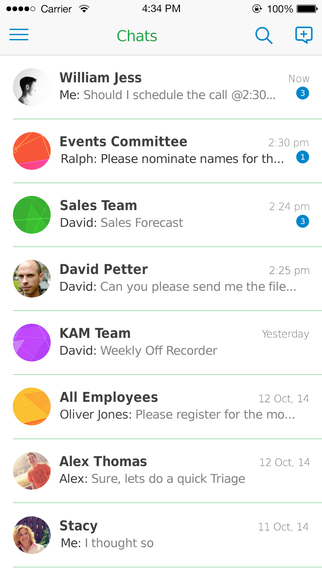 If you have thousands of employees, you can't use traditional texting platforms." "When email first came about, we created mailing lists. A few 'reply alls' could ruin the whole experience," Sheth lamented. "Then we created bulletin boards, where only one or two trolls flaming people could ruin the experience. When SMS came along, it could only be used among a limited set of users. We needed to change that." "We figured out a clever way to reduce clutter and support teams of unlimited size," Sheth told me passionately, "we invented the 'smart message.' For example, I send out a text message to 1000 people in my sales organization saying 'fill in your sales revenue for today.' 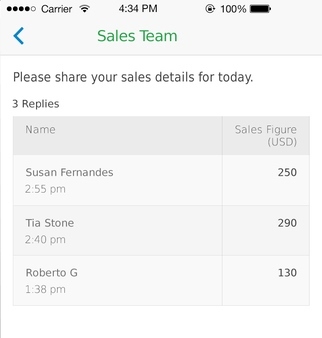 Whether I get 1000 or one response, it shows one message in aggregate and adds up the sales like a formula inside an Excel spreadsheet. It's an applet inside a chat message--we call this a 'chatlet.'" 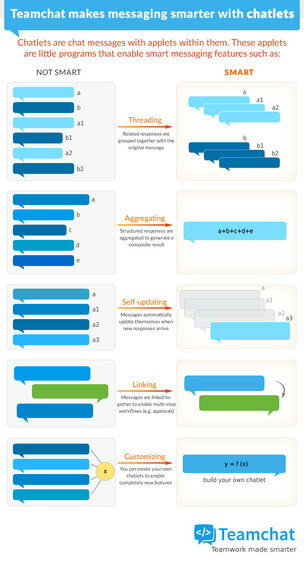 Creating "chatlets" to ease the user experience was one central solution to solve the repulsive, radiating headache for enterprise users of instant messaging on smartphones. Different conversations are smartly categorized for easy accessing. As Sheth continued to explain the underlying technology, I realized something pretty important: any technology is inherently complex, complicated and difficult to explain how it does what it does. But while great technology may be hard to explain, it's very simple to use. Like (one of my personal favorites) Don Norman's "The Invisible Computer." The computer or technology should be invisible to the end-user. Like magic. Sheth continued, "Perhaps I want to run a poll about a 'yes' or 'no' question like can you attend this meeting. We do that easily." 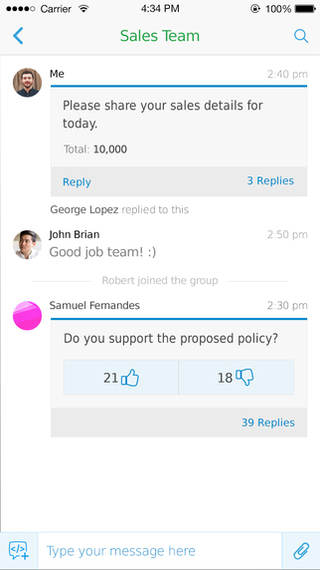 Teamchat's chatlet breakdown by departmental function is clean and transparent. Coordinating a disparate and geographically separated sales force would seem to become easier. 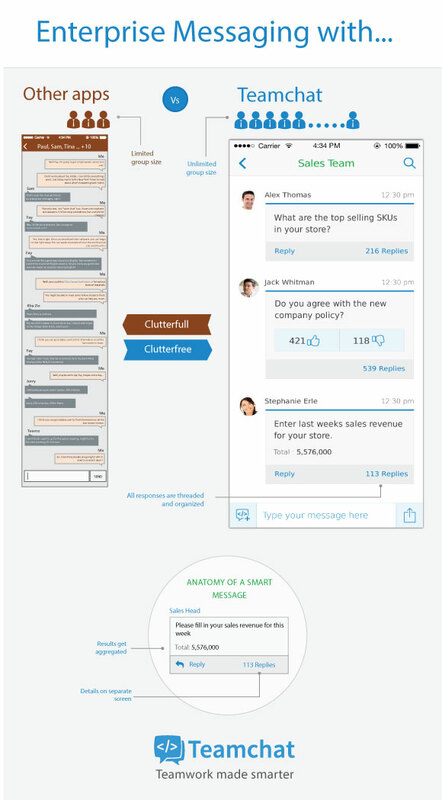 And enterprise-wide, Marketing text communications become magically possible. According to Sheth, Webaroo has one Teamchat patent pending with 25 claims underneath it. 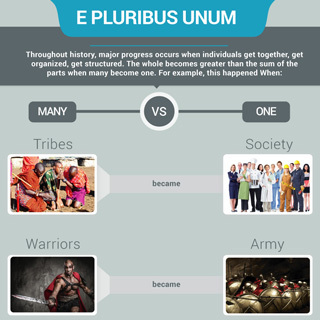 All of the neat Teamchat user interfaces and experience stem from one overall philosophy: E Pluribus Unum. 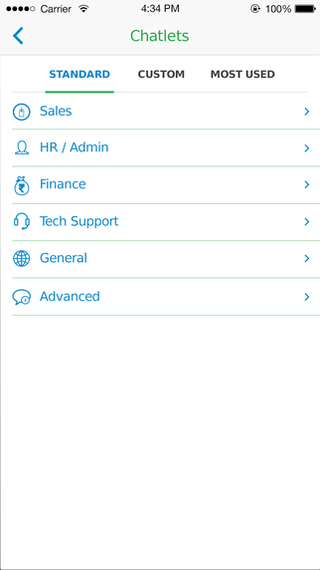 "The cool thing is, we've created an API that connects systems like Oracle, SAP and Microsoft to Teamchat. Even better than that, you can set-up customized work-flow charts, graphs and reports all developed inside Teamchat." Sheth's further predictions for Teamchat, "It's not just a human-to-human communications tool, but also an M2M/IoT communications system. Machines can also send texts into Teamchat. The machine notifies you something is broken, such as with the Nest thermostat, and then simultaneously notifies the maintenance company to come and fix it. Teamchat is compatible with NFC, RFID, Beacon and Bluetooth." 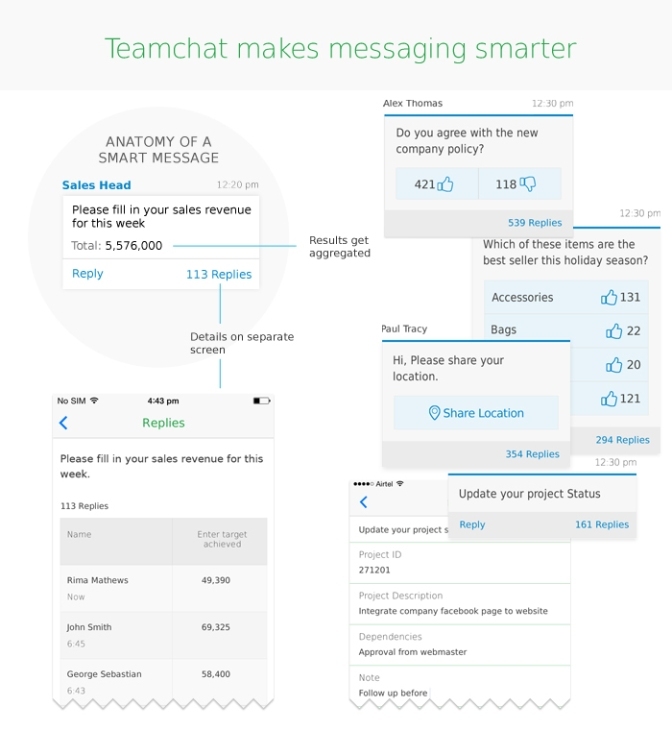 What large enterprises are Teamchat customers now? "The big corporate brands using Teamchat are mainly in Asia-Pacific," Sheth said. "Companies like HDFC, which is the highest valued bank in India; ICICI, the largest private bank in India; Mandiri, the top bank in Indonesia; EIM, a diversified company in UAE; Thomas Cook, a major travel agent globally; Jagran, largest newspaper publisher in India; and Sandvik, a global multinational. Some of the global giants in the US are piloting the app, too, but it's a little premature to announce them." Where does Sheth take Teamchat from here? 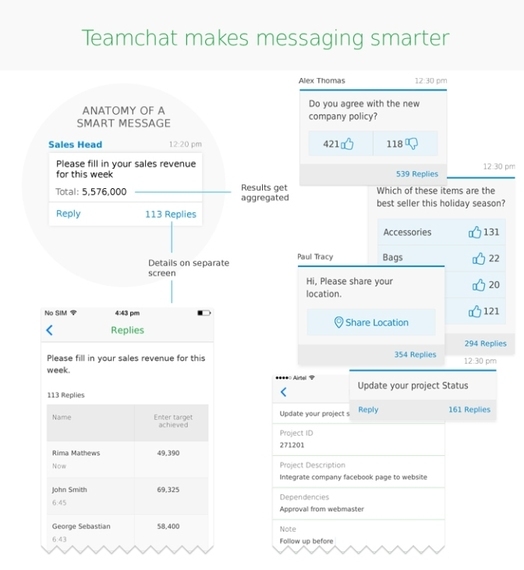 "I think Teamchat becomes the default message activity for any communication in large groups. It will be an indispensable tool." I couldn't resist and mind my manners anymore. "Are you a billionaire from Elance?" I asked Sheth. "Not yet," was his response confirming my thinking above that it might still go public someday. "What's gratifying," he said pensively, "is that Elance is a company for the ages." Wondering as I did throughout our extended conversation, Sheth perfectly anticipated my coming question about how he achieved all the success he had with Elance and technology entrepreneurship. "You focus on what you love and what you can control. You build a great product that millions of people love and that's how you succeed."